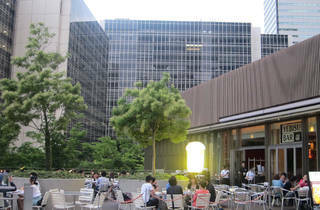 Bureaucrats working late must look down in envy at the wooden patio outside Kasumigaseki's Yebisu Bar, which turns into a raucous beer garden for the duration of the summer. 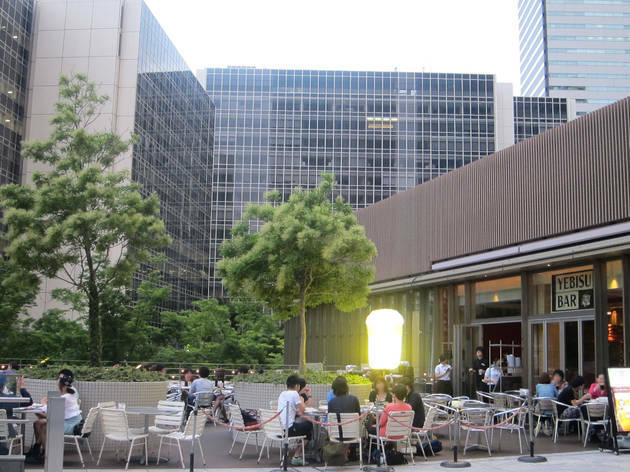 Drinking outdoors just feels that little bit better when you're doing it right in the seat of Japanese political power. Advance bookings for groups of four or more come with a choice of ‘casual’ (¥5,400) or ‘hearty’ (¥6,480) courses that include free-flowing Yebisu beer and highballs, while you only need a group of two to qualify for the 'standard' (¥4,860) course. And why settle for a conventional pitcher when you can get a dinky plastic keg to dispense your suds instead? Why indeed.